of the United States, he is by no means unique, except for his complexion. He follows in the footsteps of other presidents with a similar vision, the vision at the heart of the Progressive movement that flourished a hundred years ago. Many of the trends, problems and disasters of our time are a legacy of that era. We can only imagine how many future generations will be paying the price — and not just in money — for the bright ideas and clever rhetoric of our current administration. The two giants of the Progressive era — Theodore Roosevelt and Woodrow Wilson — clashed a century ago, in the three-way election of 1912. 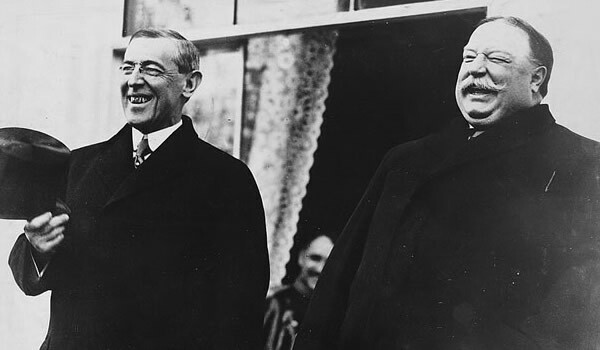 With the Republican vote split between William Howard Taft and Theodore Roosevelt’s newly created Progressive Party, Woodrow Wilson was elected president, so that the Democrats’ version of Progressivism became dominant for eight years. What Theodore Roosevelt and Woodrow Wilson had in common, and what attracts some of today’s Republicans and Democrats, respectively, who claim to be following in their footsteps, was a vision of an expanded role of the federal government in the economy and a reduced role for the Constitution of the United States. Just what specifically this “tyranny” consisted of was not spelled out. This was indeed an era of the rise of businesses to unprecedented size in industry after industry — and of prices falling rapidly, as a result of economies of scale that cut production costs and allowed larger profits to be made from lower prices that attracted more customers. It was easy to stir up hysteria over a rapidly changing economic landscape and the rise of new businessmen like John D. Rockefeller to wealth and prominence. They were called “robber barons,” but those who put this label on them failed to specify just who they robbed. After the 16th Amendment was passed, a very low income-tax rate was levied, as an entering wedge for rates that rapidly escalated up to 73 percent on the highest incomes during the Woodrow Wilson administration. One of the criticisms of the Constitution by the Progressives, and one still heard today, is that the Constitution is so hard to amend that judges have to loosen its restrictions on the power of the federal government by judicial reinterpretations. Judicial activism is one of the enduring legacies of the Progressive era. In reality, the Constitution was amended four times in eight years during the Progressive era. But facts carried no more weight with crusading Progressives then than they do today. Theodore Roosevelt interpreted the Constitution to mean that the President of the United States could exercise any powers not explicitly forbidden to him. This stood the 10th Amendment on its head, for that Amendment explicitly gave the federal government only the powers specifically spelled out, and reserved all other powers to the states or to the people. Woodrow Wilson attacked the Constitution in his writings as an academic before he became president. Once in power, his administration so restricted freedom of speech that this led to landmark Supreme Court decisions restoring that fundamental right. Whatever the vision or rhetoric of the Progressive era, its practice was a never-ending expansion of the arbitrary powers of the federal government. The problems they created so discredited Progressives that they started calling themselves “liberals” — and after they discredited themselves again, they went back to calling themselves “Progressives,” now that people no longer remembered how Progressives had discredited themselves before. Barack Obama’s rhetoric of “change” is in fact a restoration of discredited ideas that originated a hundred years ago. “Often wrong but never in doubt” is a phrase that summarizes much of what was done by Presidents Theodore Roosevelt and Woodrow Wilson, the two giants of the Progressive era, a century ago. Theodore Roosevelt was also morally offended by the fact that Standard Oil created “enormous fortunes” for its owners “at the expense of business rivals.” How a business can offer consumers lower prices without taking customers away from businesses that charge higher prices is a mystery still unsolved to the present day, when the very same arguments are used against Wal-Mart. The same preoccupation with being “fair” to high-cost producers who were losing customers to low-cost producers has turned anti-trust law on its head, for generations after the Progressive era. Although anti-trust laws and policies have been rationalized as ways of keeping monopolies from raising prices to consumers, the actual thrust of anti-trust activity has more often been against businesses that charged lower prices than their competitors. Theodore Roosevelt’s anti-trust attacks on low-price businesses in his time were echoed in later “fail trade” laws, and in attacks against “unfair” competition by the Federal Trade Commission, another agency spawned in the Progressive era. The rhetorical transformation of government into “society” is a verbal sleight-of-hand trick that endures to this day. So is the notion that money earned in the form of profits requires politicians’ benediction to be legitimate, while money earned under other names apparently does not. And just who will decide what this common purpose is and how it is to be achieved? “Politics,” according to Wilson, “has to deal with and harmonize” these various forces. Woodrow Wilson also won a Nobel Prize for peace, like the current president — and it was just as undeserved. Wilson’s “war to end wars” in fact set the stage for an even bigger, bloodier and more devastating Second World War. 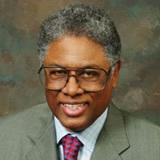 — Thomas Sowell is a senior fellow at the Hoover Institution.